This article was paid for by New Hampshire Tourism. "Hey, do you want to go skiing?" The question jolts me from après ski couch coma, and I swing around with a holy-friggin-cow-did-that-just-come-from-your-mouth stare. My mom hasn't touched downhill skis in over two years, ever since a scary ski collision that I assumed was the inglorious end to decades on the slopes. She sees my gape and raises me a nod. The year's first Nor'easter had come and gone, and any remaining snow had been scraped clean by the weekend mob, but like a coupon clipper on Black Friday, this wasn't an opportunity I was about to wait on. Cranmore, New Hampshire, home to the father of modern skiing. Two days later, we skip the residual New Year's crowds at big New England resorts and wind our way through the birch forests of Eastern New Hampshire. We point it toward Cranmore Mountain Resort, the longtime local area of New Hampshire ski capital, North Conway. Years ago, my mom made the same trek to nearby Eastern Slopes to compete in Nordic races, and she still remembered the little ski area on the outskirts of town. "You don't come to Cranmore to get scared, you come to have fun." 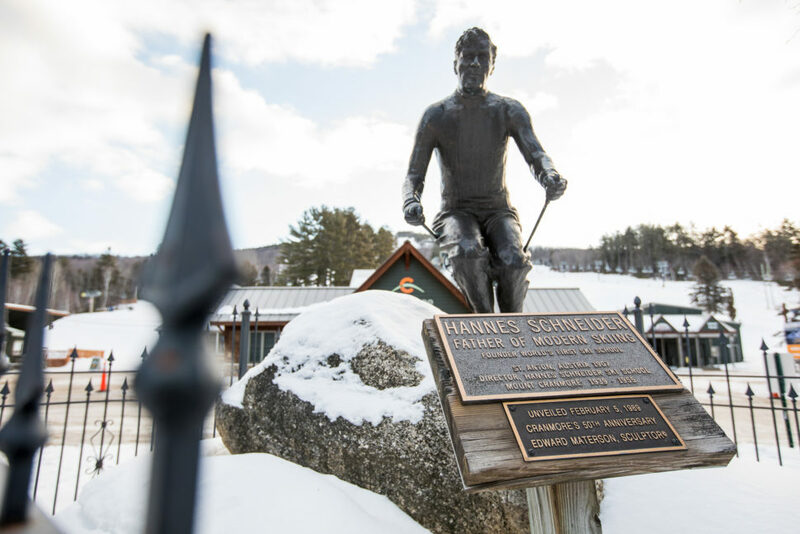 Rising over 1,200 vertical feet, Cranmore opened for business in 1937, but hit the map two years later when owner Harvey Gibson negotiated the transfer of Austrian ski legend Hannes Schneider from a Nazi prison to idyllic North Conway. Schneider, the developer of skiing's Arlberg technique, returned the favor by turning a small mountain hamlet into one of America's premier ski destinations, bringing thousands of Boston area skiers to the slopes via the Conway Scenic Railroad. Places like this are about the people that make it turn. While its glitz and glamour waned with Schneider's death in the 1950s, North Conway has continued to establish itself as the backwoods hotbed of New England skiing. Eastern Slopes is now part of Whittaker Woods, a 45-kilometer Nordic trail system owned and operated by the town of North Conway. 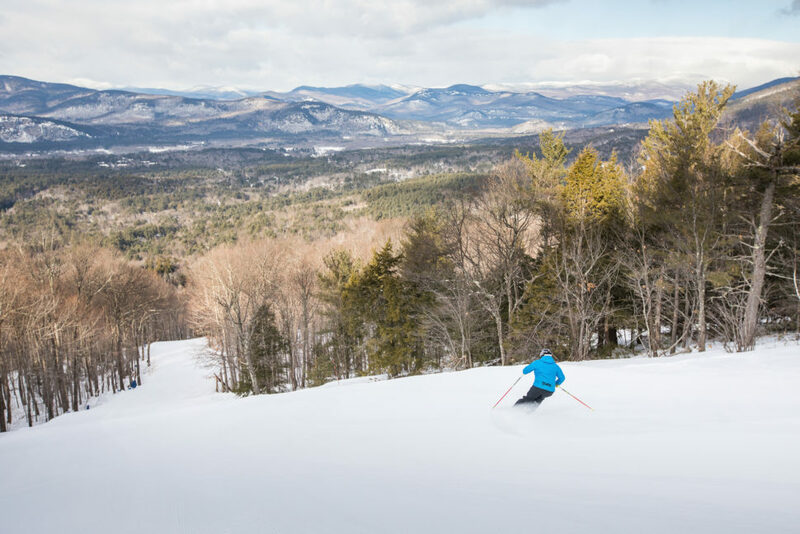 In addition to Cranmore, local skiers boast Black Mountain, Attitash, and Wildcat within 15 minutes from their snowplowed driveways. Two older skiers in worn jackets let me know that the sun was softening up fun skiing in East Bowl, and that things were running fast on the rest of the mountain. It's 10 a.m. and they seem content with their day. After all, they'll be back the next—and probably the one after that. Post office, ski area, and a decaf on the way home. Now that's a morning routine, I think to myself. The area has morphed into a full-blown resort since the Schneider era, breaking ground on a $50 million base condominium complex and adding a zip-line course, alpine roller coaster, and massive tubing park. But, in many ways, the skiing has stayed the same, and that's just fine. This isn’t the place you come to get scared. You come to have fun—like skiing should be. Far from groomed superhighways, Kandahar and Rattlesnake slice thin flumes between thick deciduous forests along Cranmore's shady north side, begging for speed and sharp edges. It looks like mom hustled me, as she arcs her trademark tight-booted turns with the smooth, swift elegance that I emulated growing up. She's at ease on the uncrowded slopes, and doesn't seem to mind the lack of lift lines either. In fact, I'm pretty sure the longest line we've seen all day was at the Dunkin’ Donuts drive thru on the way into town. After soaking up panoramic views of the Presidential Range from the cozy Meister Hut at Cranmore's summit, we take our parking lot advice to heart and farm soft squiggles into East Bowl. Schneider and Artist Falls soak up radiant afternoon sun and as we carve out lap after lap, we can't help but feel, well, comfortable. 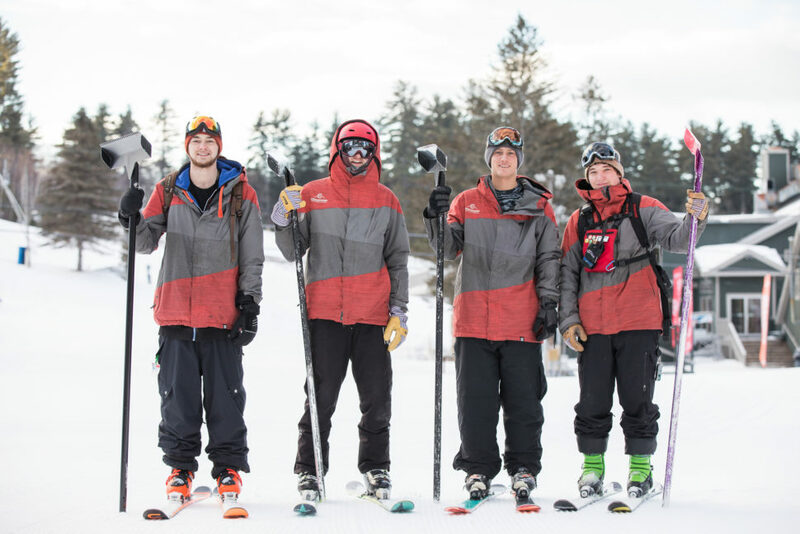 As one lift acquaintance put it, "You don't come to Cranmore to get scared, you come to have fun." Somewhere in the middle of the Gibson Chutes, I have to agree. A collection of three thin, mogul-y, chutes that require something between slalom carve and jump turn down continuous fall line, the shots are as classic as it comes in New England. After 100 feet my legs are burning, and after 400, I'm just happy to see a cat track. I call it quits before my mom. She's having a great time, and I want to keep it that way. After all, on a warm day in January, we both have something to be thankful for: Her for a safe return to skiing, and me for another chance to enjoy it with the one who got me hooked on this crazy sport in the first place.